If you own a PS4, chances are good you own a subscription to PlayStation Plus. 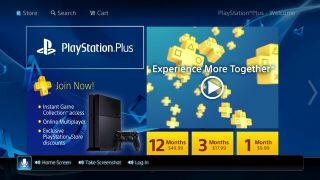 Besides it being the only way to multiplayer games online on Sony's system, PlayStation Plus doles out "free" games to the masses every month. While it's nice getting a free handful of games every month, there wasn't any way to pick and choose which games you're going to get. But "Vote to Play," a poll for PlayStation Plus members to vote on which game they want for free, is changing that. The first poll went up today, offering three indie games - Armello, Grow Home and Zombie Vikings - for the inaugural ballot. Whichever game garners the most votes will become a free title next month on PlayStation Plus, while the runner-up will receive a steep discount. So it's a win-win. Voting starts on August 13 and ends on August 24. If you're a PlayStation Plus member, all you need to do is go to the PlayStation Store app on the PS4 to vote.